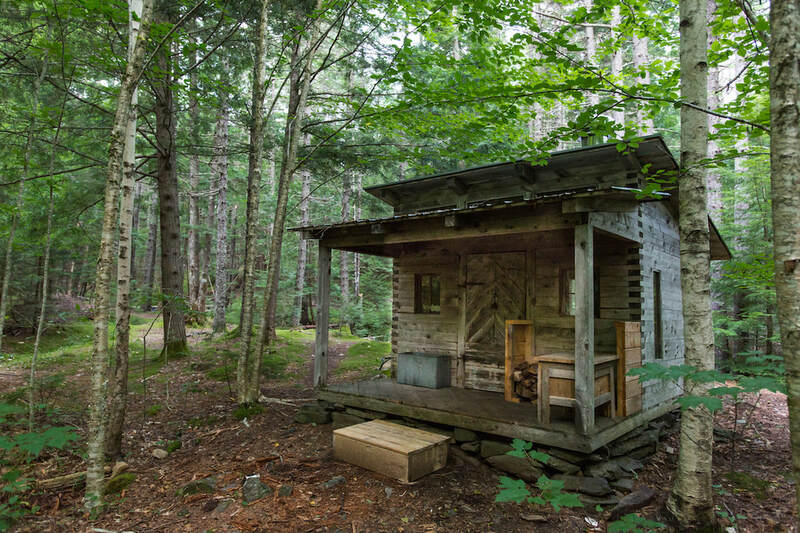 There are 7 off-grid cabins and one double-walled tent nestled in the forest and garden (5 are available for rent). The walk in to each cabin varies from 75 to 100 meters, approximately. Each has its own unique characteristics and spirit. These are great places for solo retreats, family adventures, and couples’ getaways. Wake up each morning to the serenity and magic of the forest. Revenue from the forest cabins goes to the Windhorse Education Foundation. 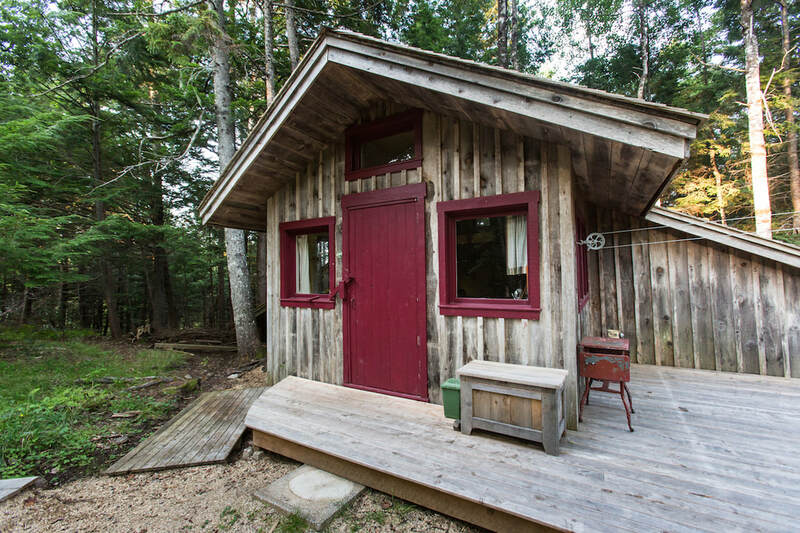 Each cabin is equipped with a propane cooktop (and an oven in Tamarack), propane or solar-powered lights, a wood stove, a cooler (ice packs are available to keep perishable food fresh), clean bed linens and towels, and kitchenware. Water is provided in jugs (they don't have running water) and clean composting toilets are located near each cabin. 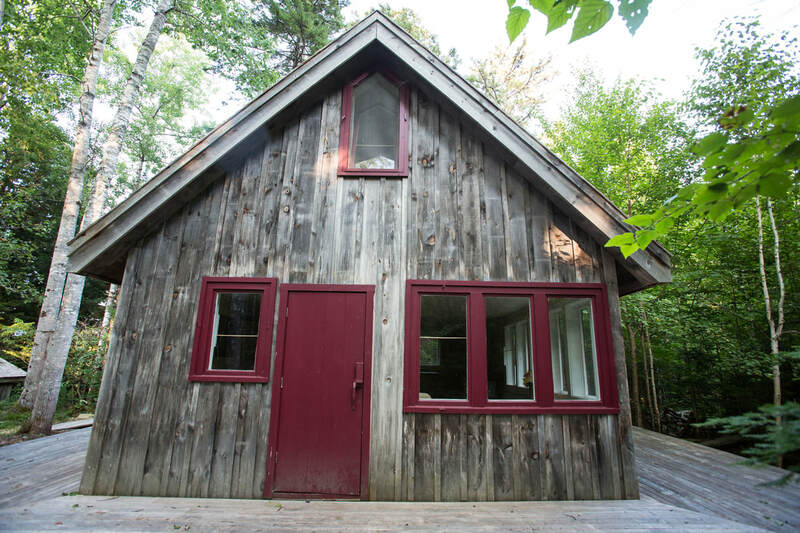 Access to a hot shower and running water is available in the “Chat Room” adjacent to the farmhouse. 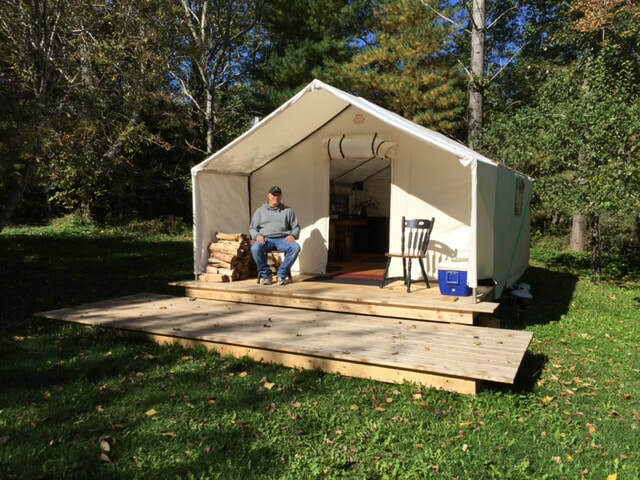 Guests of the cabins and camping also have access to all the “Elements of Windhorse.” Firewood for heating is included; firewood for use in the outdoor fire circles is available for sale at the office. Booking Policies: Our cabins have a minimum charge of two nights. There is a firm no pets policy. Reservations are made with a non-refundable deposit of 50% of the total before taxes. All rentals are subject to HST (15% tax). Additional persons are subject to a fee of $20 per person per night, if there is space to accommodate them. To help reduce per swipe card fees, we really appreciate if you pay by e-transfer for your deposit and cash once you're here. Thank you. 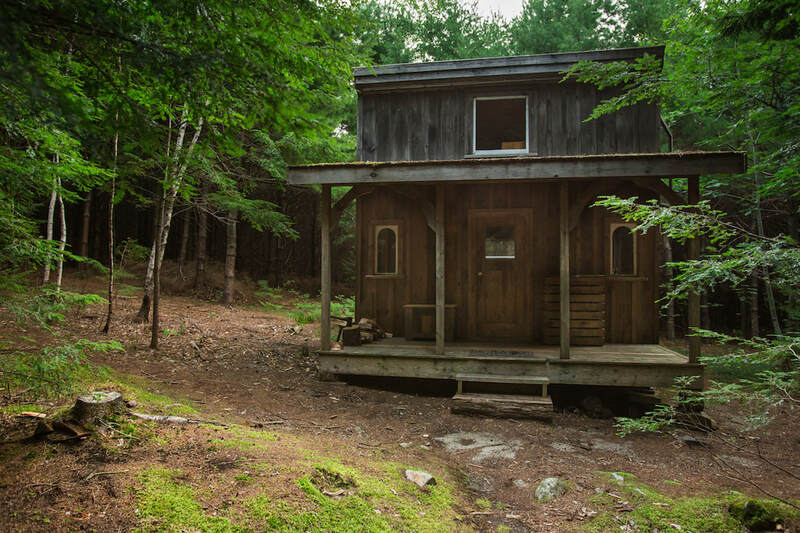 Will’s Cabin is the most secluded retreat, set atop a hill deep inside the forest. 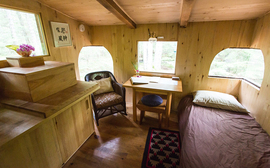 It sleeps 3 in a loft, accessed by ladder, that has a double bed and a single bed. Please note that availability can change quickly. There is a 2-night minimum charge on all accommodations. When choosing dates, it's ok to arrive on a day when someone is departing or depart on a day when someone is arriving.